"I drove it and I shaped it, flighted it, and coming into the greens, controlling the spin, trajectory -- everything there was about as good as I could have hit it today." 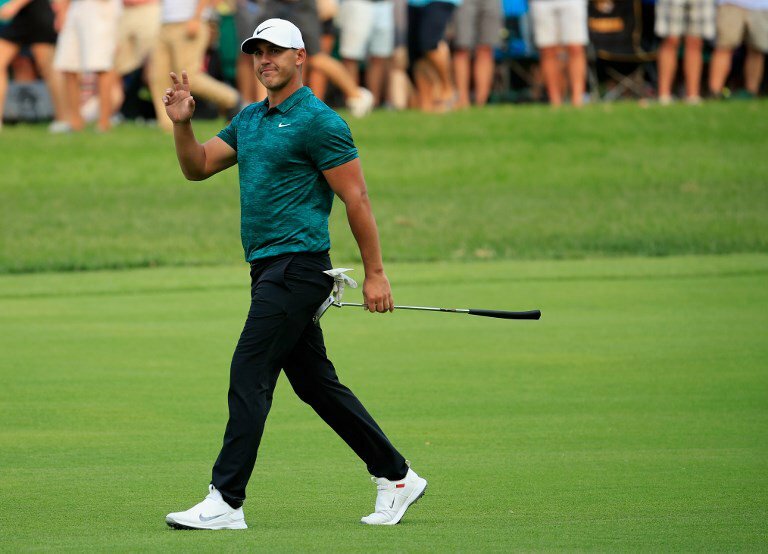 The bogey-free round was all the validation Koepka needed after the buildup to the Masters included criticism of his decision to lose almost 25 pounds -- a move that coincided with a dip in form. This week, Koepka, who won a second straight US Open title last year and followed up with a win in the PGA Championship, conceded his restrictive diet was extreme, but he wasn't offering any apologies -- noting that he'd taken flak in the past from pundits for bulking up too much in the weight room. "I lift too many weights, and I'm too big to play golf," Koepka said. "And then when I lose weight, I'm too small.